Knopf Publishing Group, 9780307593986, 256pp. Wake up, Muffy. We re back. From Lisa Birnbach, the author of "The Official Preppy Handbook" and designer Chip Kidd comes a whole new take on the prep world that Birnbach turned into an international best-selling phenomenon thirty years ago. 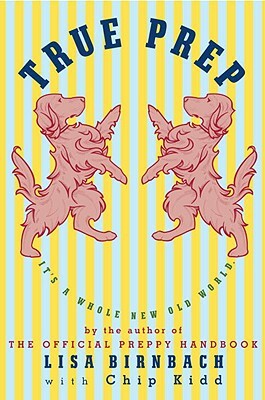 True Prep" is a contemporary look at how the old guard of natural-fiber-loving, dog-worshipping, G&T-soaked preppies adapt to the new order of things. Birnbach considers the prep attitude towards money (ambivalent), schools (good investment), wardrobe (now your clothes fit), work (some careers will never be prep), decorating (ask mummy), scandal (including rehab and prison), and food and drink (with some classic recipes for both). She also looks at weekends (and what to do to get asked back), entertaining, sports (including sailing and shopping), weddings, etiquette, the Internet and electronic gadgetry, political correctness, reality TV, and . . . polar fleece. And last but not least: a do-it-yourself eulogy. With more than 200 original illustrations and photographs, "True Prep" promises to be a whole new, old sensation. Lisa Birnbach still wears her father s tennis sweater, her grandmother s pearls, and flies coach. In the last thirty years she s been busy in old media, but she managed to meet Chip Kidd through Facebook. Chip Kidd is a designer and writer at Alfred A. Knopf, where he has worked since 1986. In 1980, when he was in the tenth grade, "The Official Preppy Handbook" changed his life. This is his attempt to return the favor. He lives in New York City and Stonington, Connecticut."